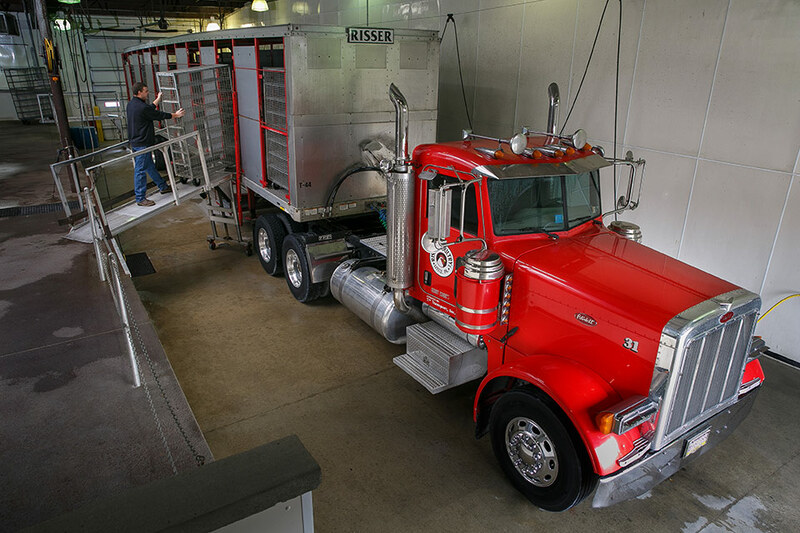 The transport side of Risser’s Poultry is a large part of our poultry business. We maintain a fleet in excess of 70 vehicles, including tractors, trailers, service vehicles, and specialized equipment and we maintain Poultry Handling & Transportation Certifications. We are vigilant about staying current on all state regulations and new handling methods to ensure the safety of everything we transport. Our central location in Lancaster County’s Lititz, PA allows our fleet of trucks to efficiently service the entire Mid-Atlantic region. Maximum biosecurity is an important aspect of our transport business. 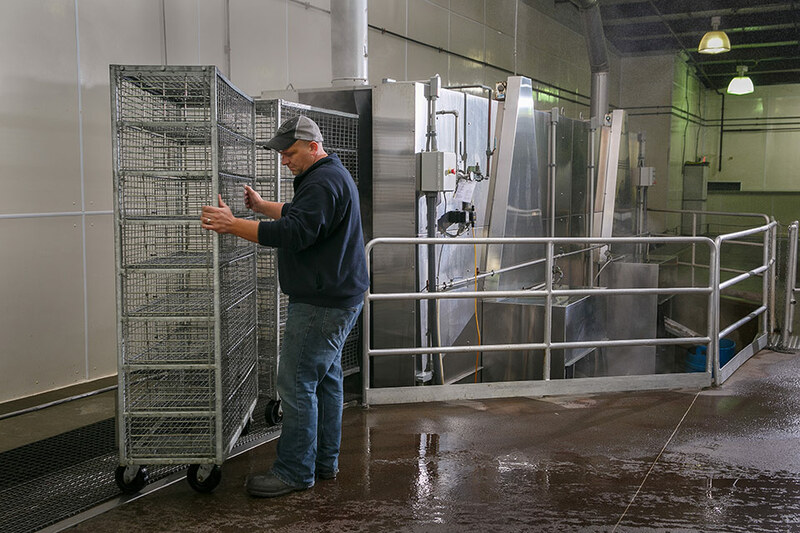 Our specially engineered, automated cart/coop washing system achieves consistent cleaning and disinfecting for maximum biosecurity. We’re happy to talk with you more about our transport and removal services, and how we can help bolster your operation. Give us a call us at 717-626-5466 or contact us.